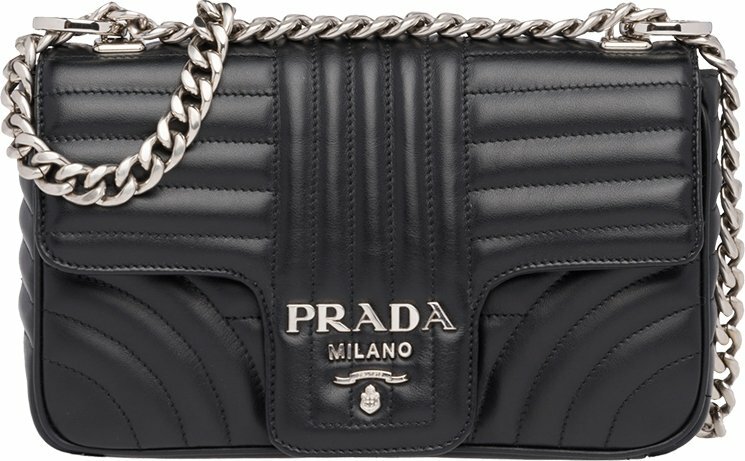 Every designer brand has their own iconic shoulder and tote bag. 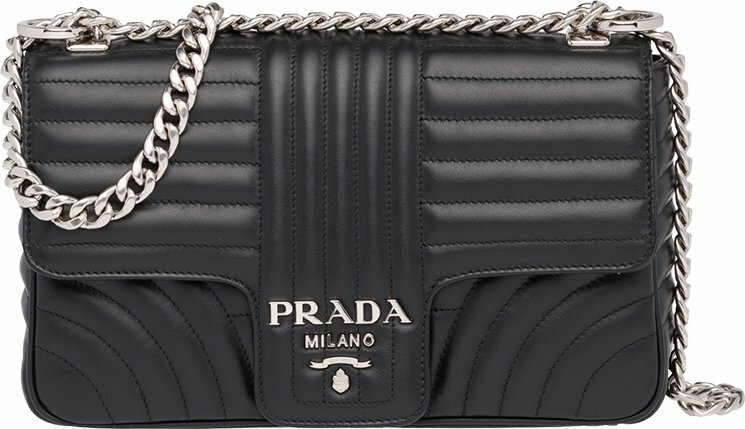 Prada’s most precious tote bags are the Galleria Bag, Paradigme Bag and the Double Bag. But what about the flap bags? 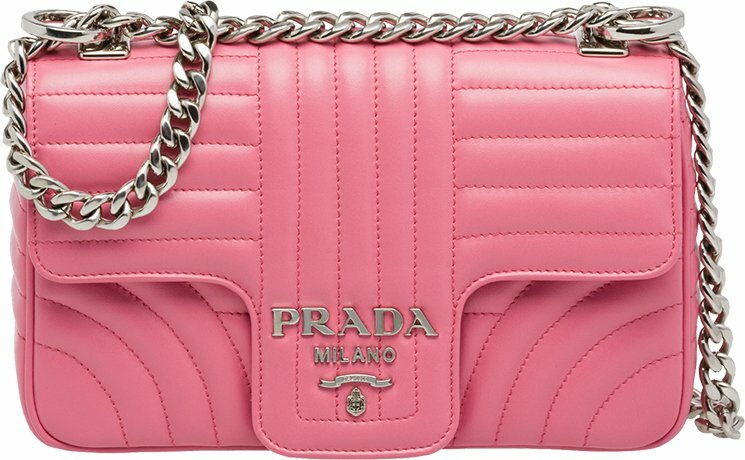 Well, we think the Prada Diagramme Flap Bags might be the next signature handbag. Let’s hope it stays in the game long enough to become an ionic. And btw, there is already a Camera Bag version of the Diagramme style released. 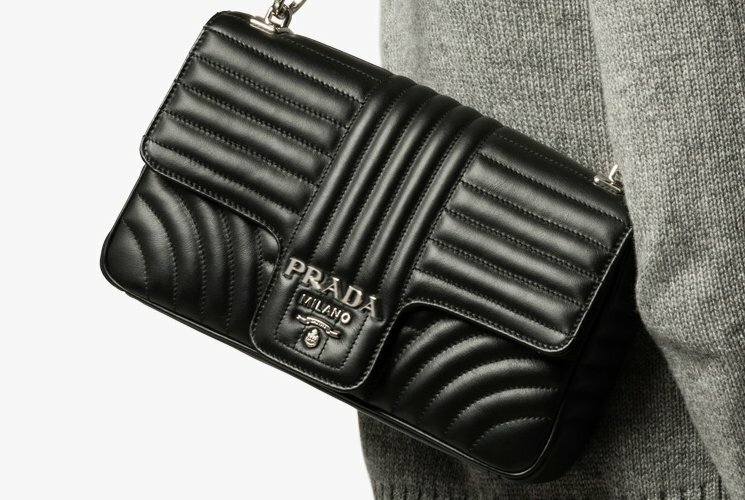 First of all, Prada has invented a complete new type of quilting. It looks modern but very sophisticated. The flap part is horizontal and vertical quilted. The bottom part is nicely curved quilted. 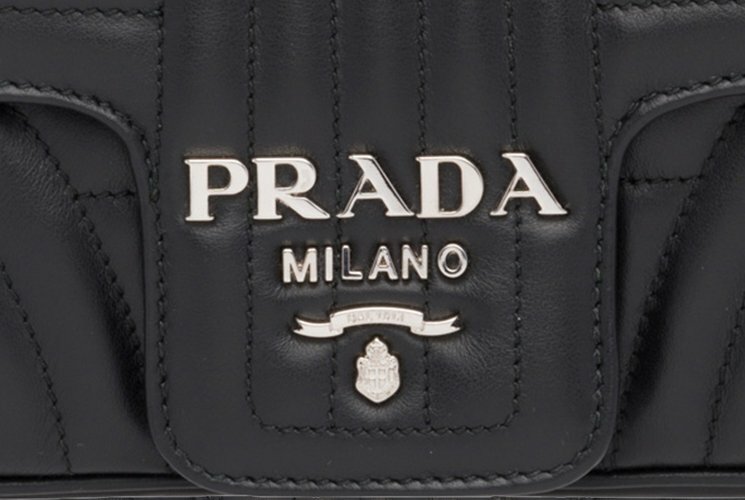 The flap has a nose-like design and the center is crafted with the new Prada logo. 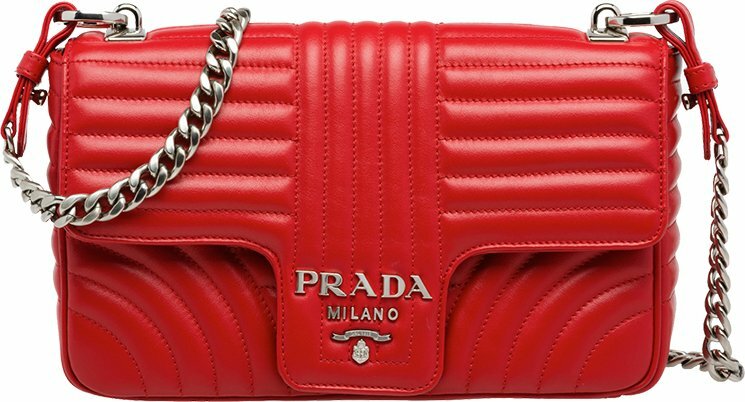 This handbag is the house’s latest design and it looks like it will pave its way to the iconic status. 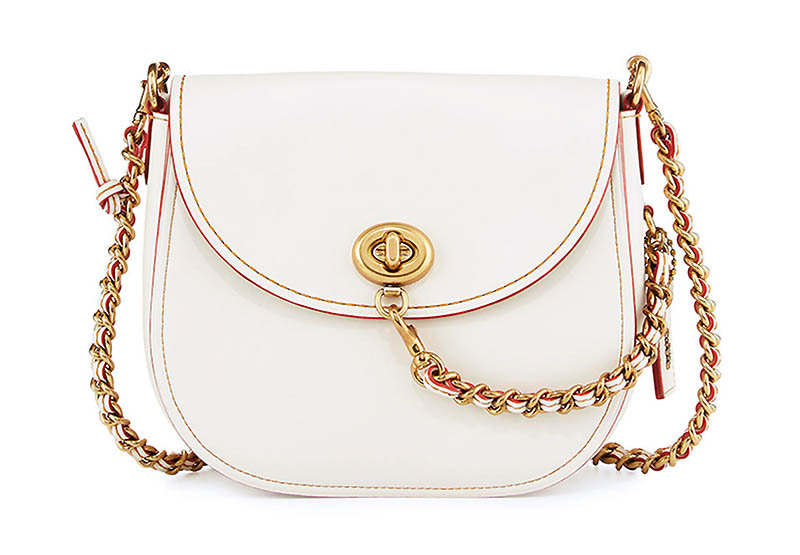 Also this handbag comes with a long chain strap for shoulder and cross body carry. 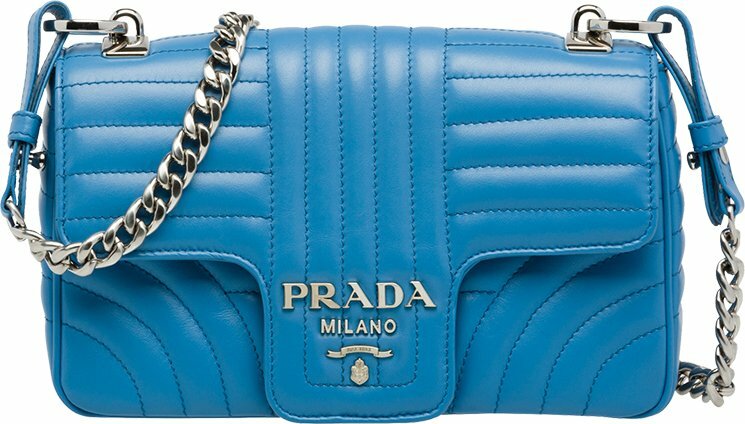 The durable calfskin leather makes sure you can be fashionable without the need to baby this bag. So what do you think? 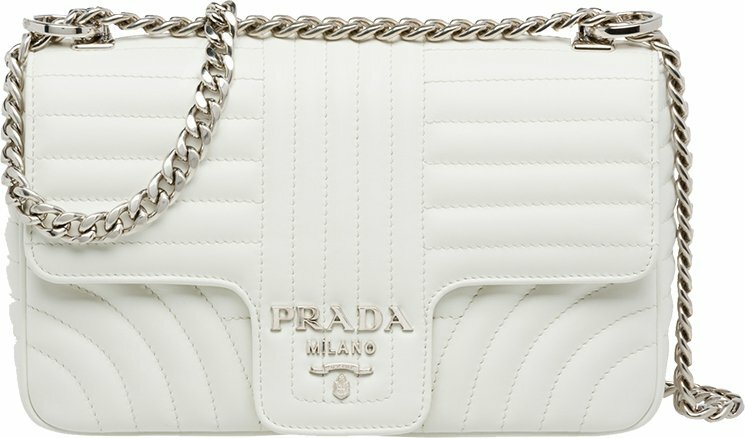 This flap bag is perfect as an everyday handbag. It looks timeless and beautiful. The interior is made with two pockets and one is with zip. 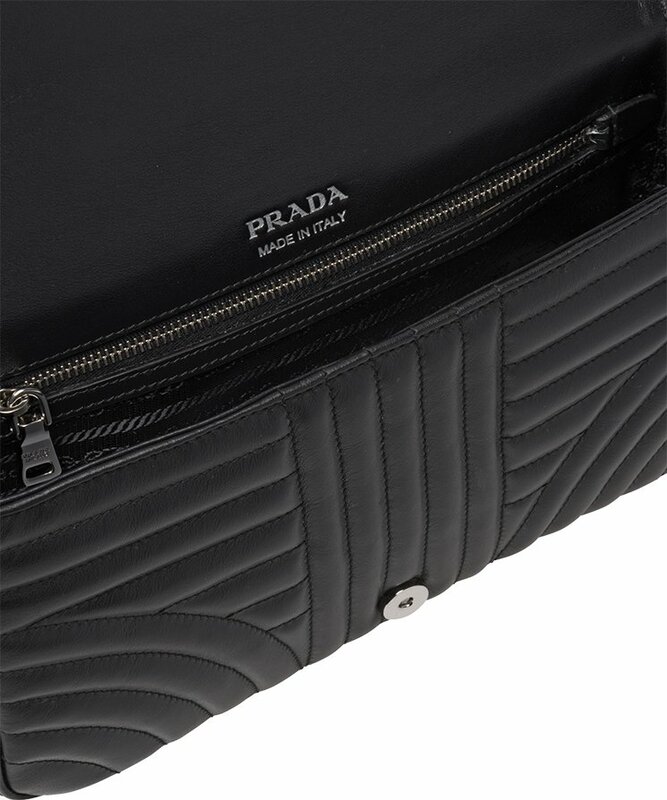 The inside is big enough to store your daily essentials and more. Measuring 6 x 14 x 24 (D x H x W) cm, priced at €1450 euro, $1750 USD, $CAD, £1220 GBP, ¥204120 JPY, ¥13,450 CNY. Made from metallic tweed, this dress features an asymmetrical hemline with a deep V neckline. Fashion retailer Neiman Marcus is taking its winter sale to the next level. You can now expect up to 60% off with the addition of an extra 33% off sale prices. Look for specially marked items including dresses, shoes, bags, coats, sweaters and more. Top fashion brands such as Chloe, Alexander McQueen, Coach and The Row are included in the sale. 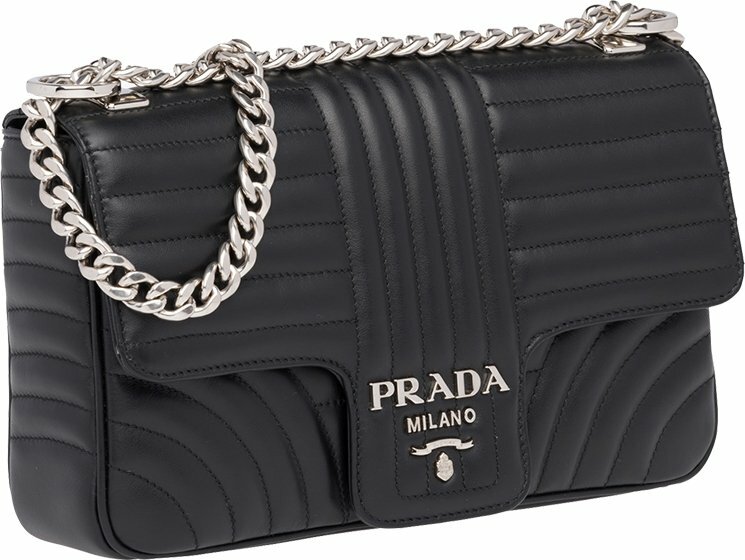 See a few of our picks below, and shop more discounts at NeimanMarcus.com. 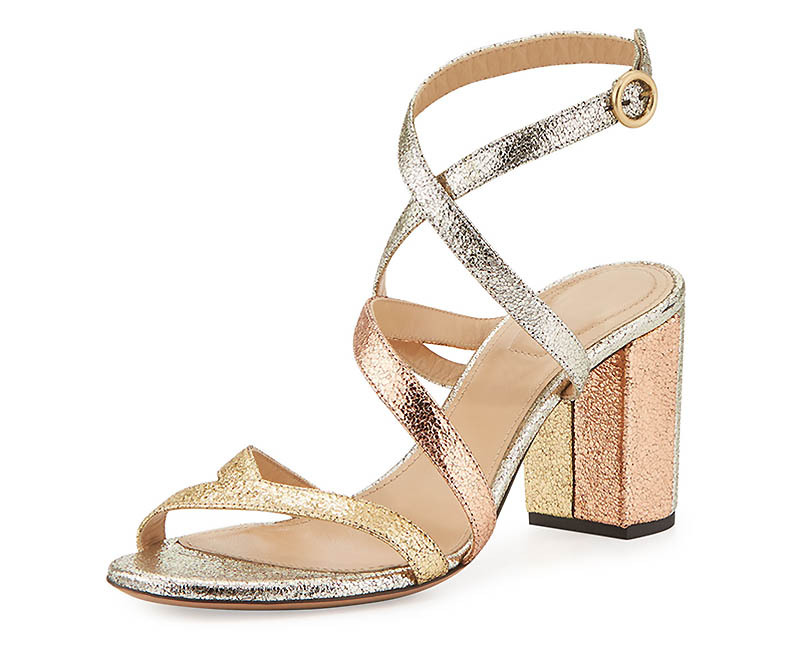 Turn up the shine factor in a tricolor sandal with a 2.8″ block heel. 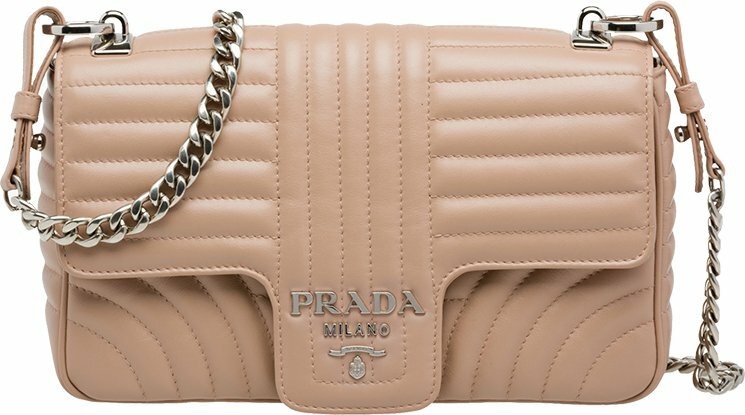 This saddle bag comes with a removable studded shoulder strap in a gold and silver hue. 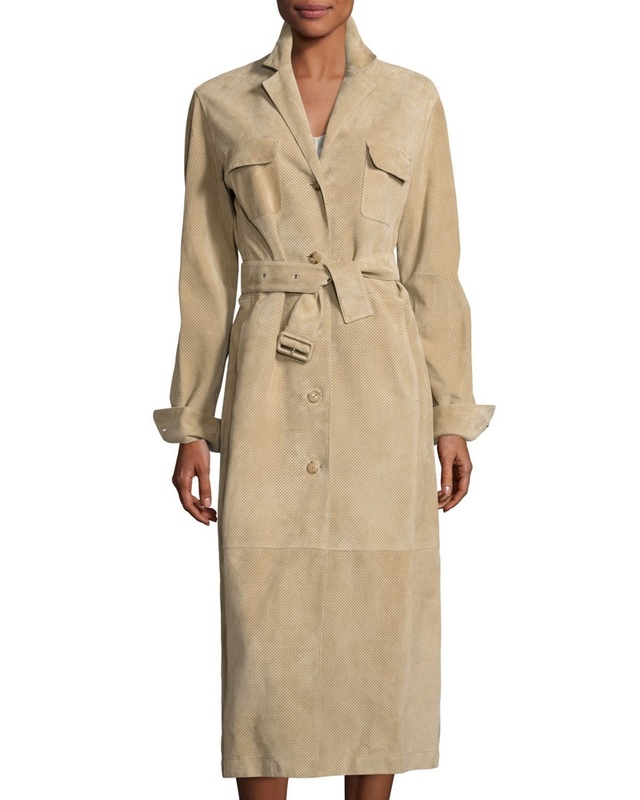 A sand-colored perforated trench coat comes in a luxe lambskin suede. 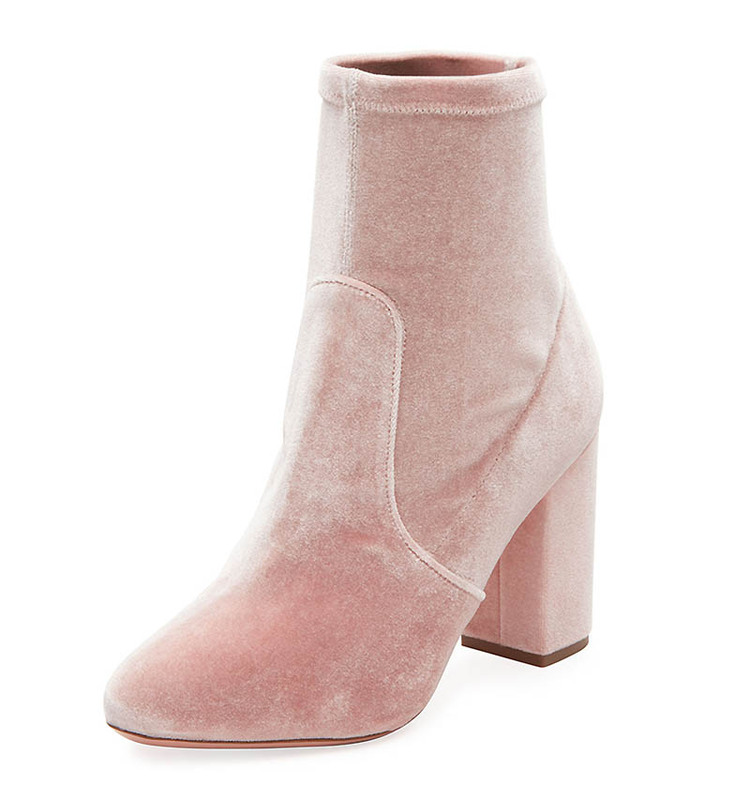 Made in a pink velvet, this bootie will add a pop of color to any outfit. Isabeli Fontana looks reborn on the December-January 2017.2018 cover of Russh Magazine. Captured by Hannah Scott-Stevenson, the brunette poses in a tub wearing an embellished Louis Vuitton dress. Inside the magazine, Isabeli keeps it minimal with barely there makeup and her hair in undone waves. Stylist Bridie Gilbert dresses the Brazilian babe wearing the designs of Burberry, Celine, Miu Miu and more. So you like the Boy. Then we have got a surprised for ya. Instead of the regular lambskin, calfskin or caviar in nice and smooth design, we’ve got something that will make you feel unique and special. It’s the Chanel Chevron Pleated Crumpled Boy Wallet from the Cruise 2017 Collection. 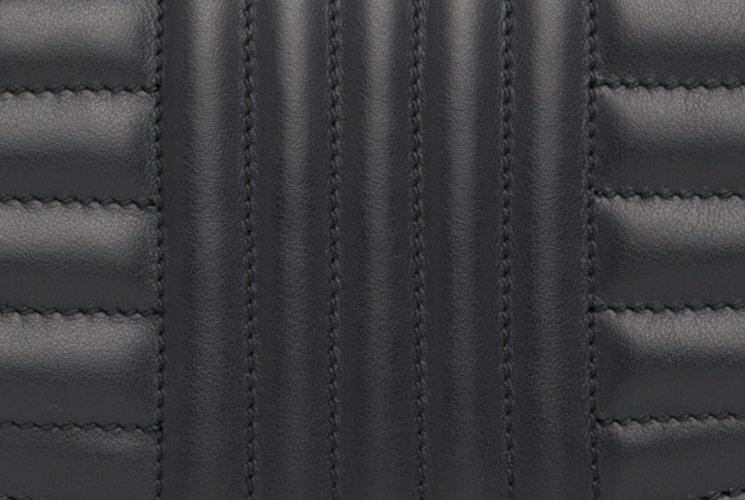 And while it’s not a new item, the combination of leather and design makes it different than the others. For more wallets, go to Boy Classic Wallets. Let us start by breaking down this new Boy Wallet. First it’s crafted with a new form of Chevron Quilting. 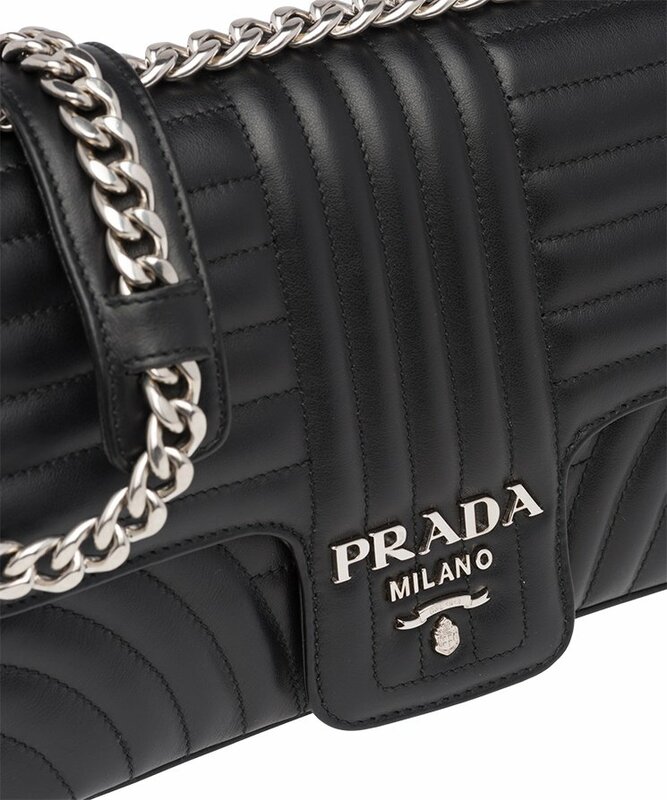 This Quilting is stitched with the same color as the bag, so the classic black edition is sewed with black stitching. This type of design highlights the Chevron Quilting but very lightly. It’s like the Quilting has been melted with the wallet. Then to boast the overall look with more exciting contrast, this Boy Wallet is made with crumpled calfskin. 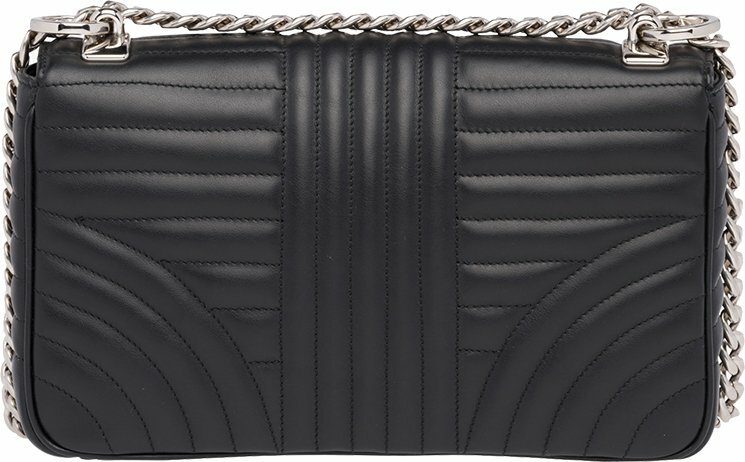 The crumpled calfskin was first-seen in April 2017 when it was embellished on the So Black Classic Flap Bag. 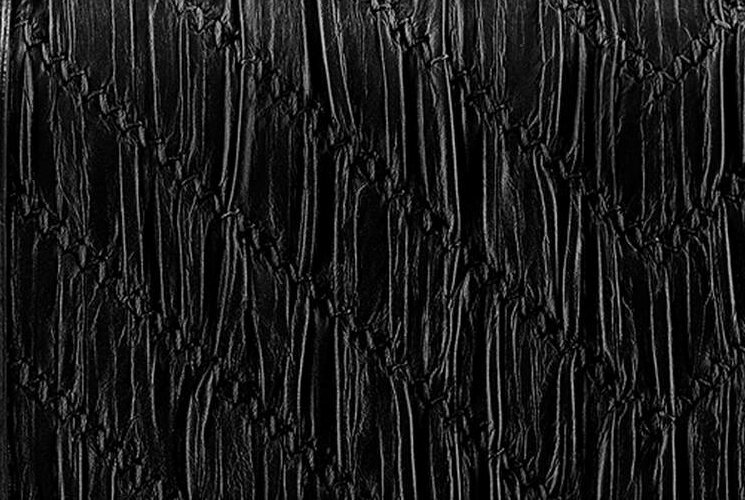 The Crumpled Calfskin is the lighter form of the Aged Calfskin of the Reissue 2.55 Bag. The pleated design together with crumpled leather makes this Boy Wallet very attractive. No eyes can escape this beauty. What’s more? Meet the new Boy CC logo! In general, the overall design of this Boy logo is the same, but the CC in the center is slightly different. It’s like the CC logo has been twisted just like a rope. 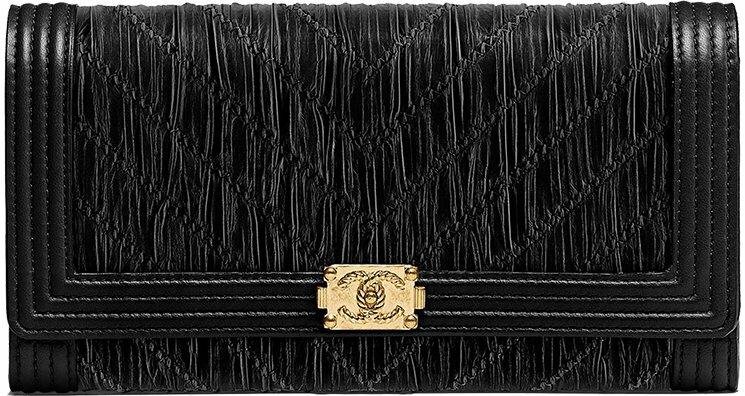 This wallet is a seasonal piece and if you like it, you should check it out at the Chanel boutique. Do note that this Boy Wallet is different than the Boy Long Wallet, because the flap is longer. 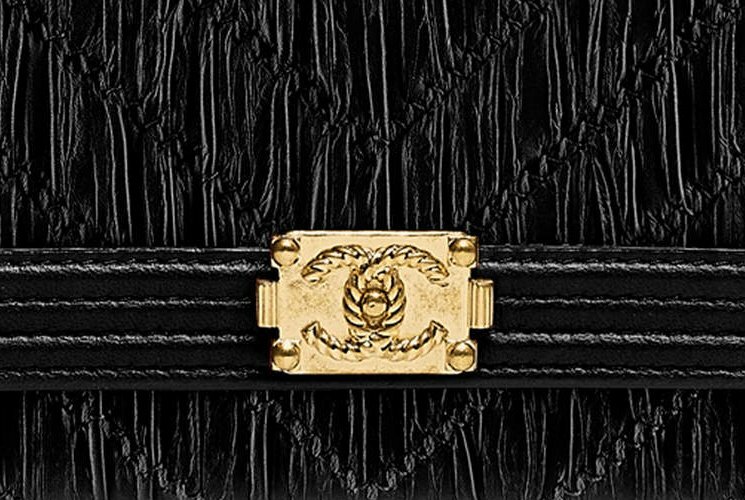 Chanel Wallets are always well-thought out, with plenty of compartments to organize your essentials. Inside this wallet you will find a zip pocket, several credit card slots and patch pockets. Style code A70140, measuring 4.1’ x 7.6’ x 1.2’ inches, priced at $1200 USD, €1175 euro, £1090 GBP, $1970 SGD, $10200 HKD, $1830 AUD, ¥156000 JPY, 6200 MYR via Chanel boutiques. These black pumps include an open heel as well as a cuff at the ankle. After tapping Cara Delevingne for its holiday campaign, Jimmy Choo continues to focus on celebratory styles for the cruise 2018 season. Photographed by Serge Leblon, model Kati Nescherposes in a party setting wearing chic styles. From fur trimmed loafers to glittery ankle boots and mirrored pumps, Choo’s new styles truly shine. In addition to the images, Kati also appears in a short clip where she cuts a rug on the dance floor. This white ankle boot comes in a stretch fabric and white nappa leather. This sleek trainer gets glam with chic beading and crystals as well as velcro straps. Bring some sparkle to any event with a glittery bootie featuring a crystal buckle. Take on menswear inspired style with a loafer featuring soft rabbit fur inside and outside. Be the main focus of the room in these colorful booties including crystal embellishments. If you have plans to attend a social event, you need to be sure that you are doing your best to create the ideal impression. In order to this and find the perfect look, here are some ways where you can dress up in style. Read these five simple tips below. 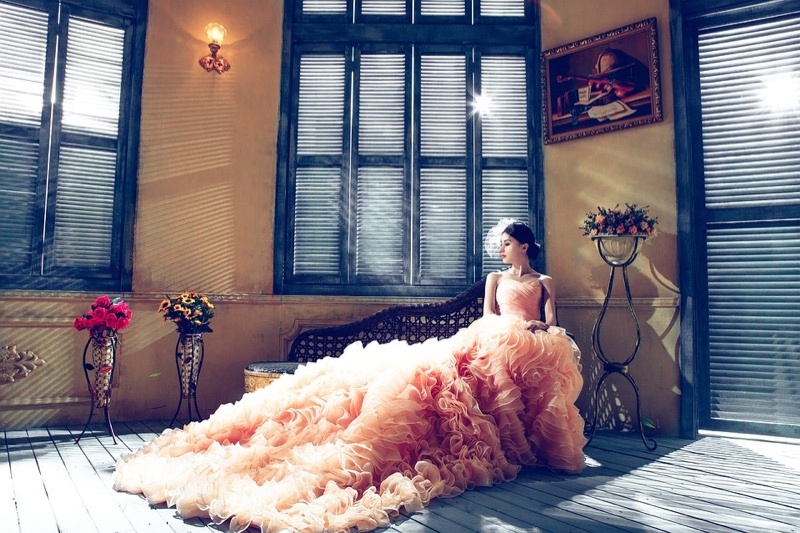 Every event has its theme, and you need to understand it properly if you want to get the ideal look. Understanding nothing can be slightly difficult for you, but if you get a hold of it, your task will be extremely easy. Once you have got an idea of what is required from every attendee, you should start looking for other options that will help you get close to the look. To get an ideal look for a particular event, you need to look around and get inspired by people who are giving the best as per best dressing sense is concerned. While visiting events, you can look around and be sure that it will be good enough for you to get the necessary inspiration. You can even get inspired by looking at reality shows like Bigg Boss where people display some of the best looks for the audience. One of the biggest mistakes made by attendees for a particular event is that they try hard to get appreciation from others. This is not the right thing to do because it can have a negative impact on your appearance you are unable to carry the look. So, make sure that you are not trying too hard to impress everyone at the event. With this being said, it is also important to know that you should make an attempt to be unique and maintain your look without simply ripping off the look of your favorite celebrity. 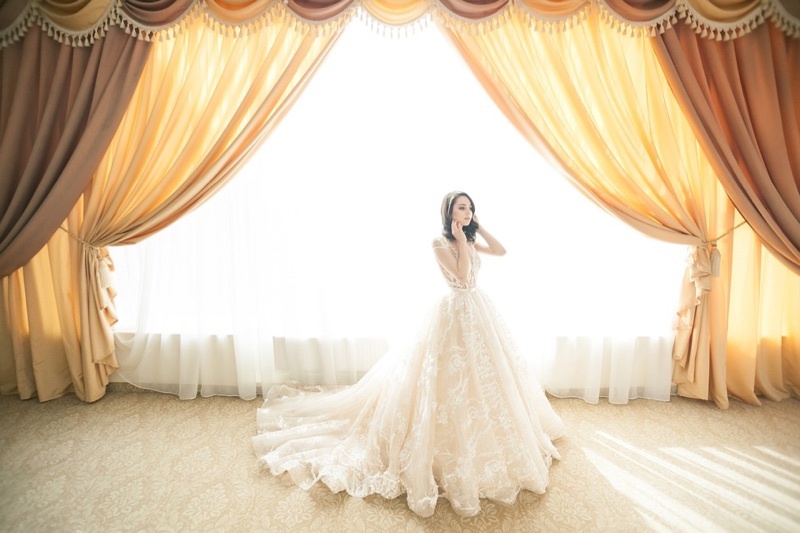 It is possible that you are confused with different options available and if you are unable to decide, the best thing to do is to ask for help and make sure that you get the look that will be perfect for the event. While asking for help, make sure that you look for guidance from people who can actually that you and not randomly from anyone around you. With an additional layer of clothing, you can always remove it if you feel it is not ideal for your appearance at the event. However, if you are missing a piece of clothing that can create an impact on your appearance, you’ll not be in a position to add it later on. So, remember that overdressing is better than underdressing.